Saturday’s World Champion Boxing® telecast begins at 10:00 p.m. ET/PT. Opening the telecast from the Barclays Center in Brooklyn, New York is undefeated Jarrell Miller taking on Johann Duhaupas in 12-round heavyweight tilt. 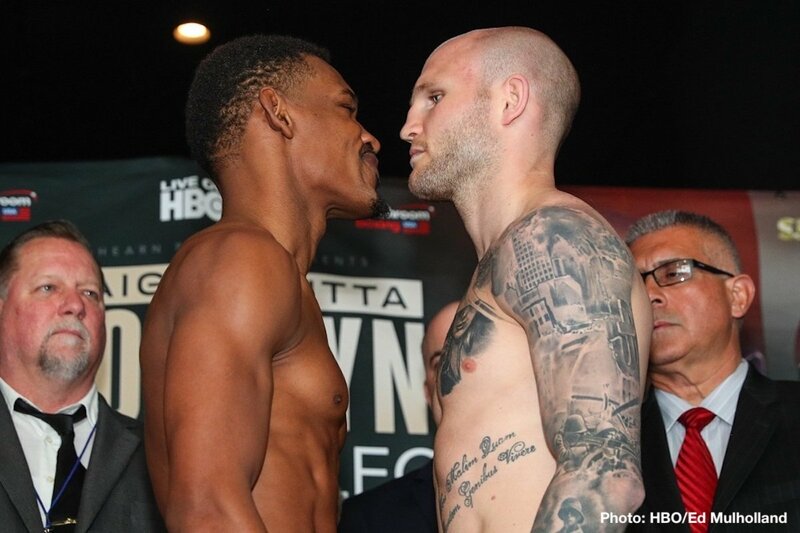 In the main event former middleweight champion Daniel Jacobs will face Maciej Sulecki in a 12-round bout. Windham, NH [April 27, 2018] – Boston Boxing Promotions is one day away from bringing professional boxing to Windham, New Hampshire for the second time this year at the Castleton Banquet and Conference Center. Doors open this Saturday night at 6PM. First fight will be at 7PM. Tickets are on sale now at www.BoxingNH.com. Tickets will also be available at the door on Saturday night (cash only). Earlier today, the fight promotion held the event weigh-ins at the Lobster Tail Restaurant & Lounge in Windham, NH.